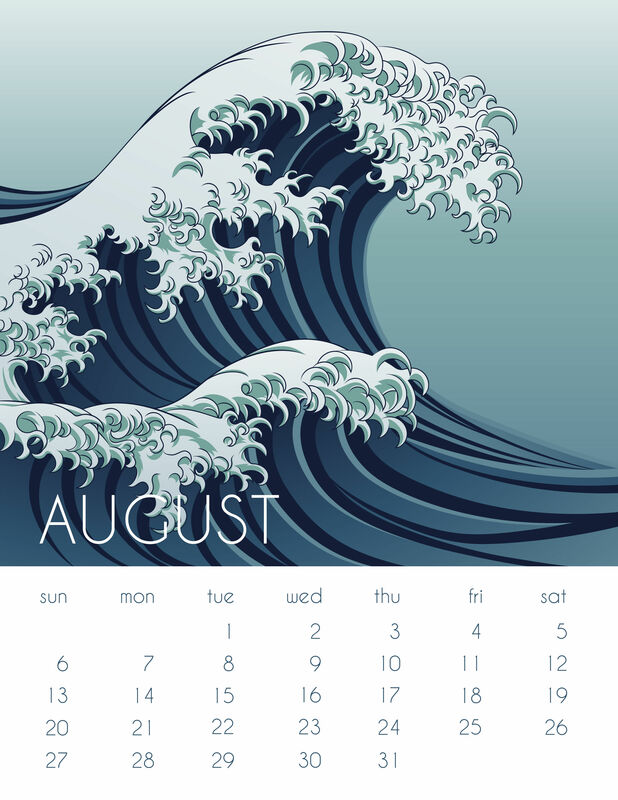 Out of calendar ideas? They have to be functional, so that people will actually use them, and interesting so people actually want them. The first part is easy to arrange. 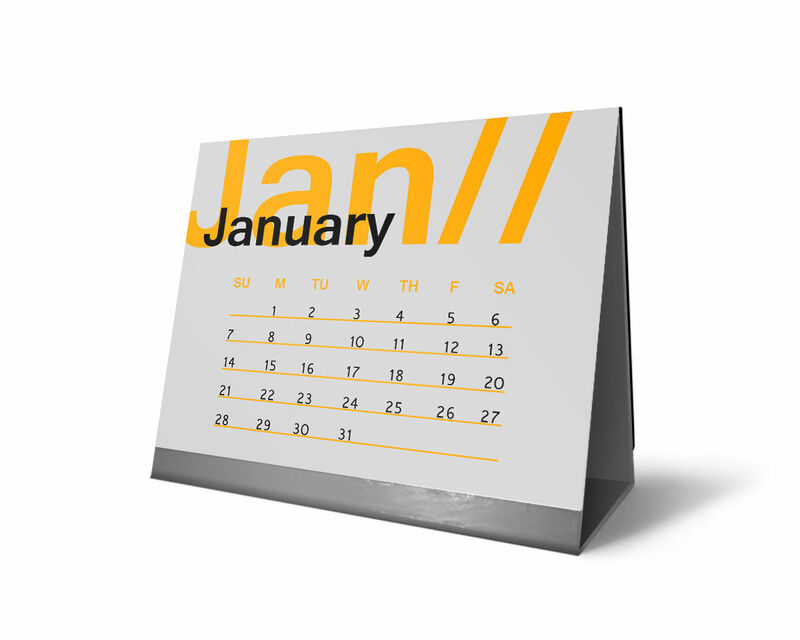 A quick search will give you all the dates, holidays, and observances your calendar needs for the coming year. The second part -- making your calendar interesting -- is a bit tougher to arrange. Sometimes we have to look at the past for inspiration. Vintage themes and aesthetics can still look surprisingly fresh in the right situation, especially when given a modern spin. 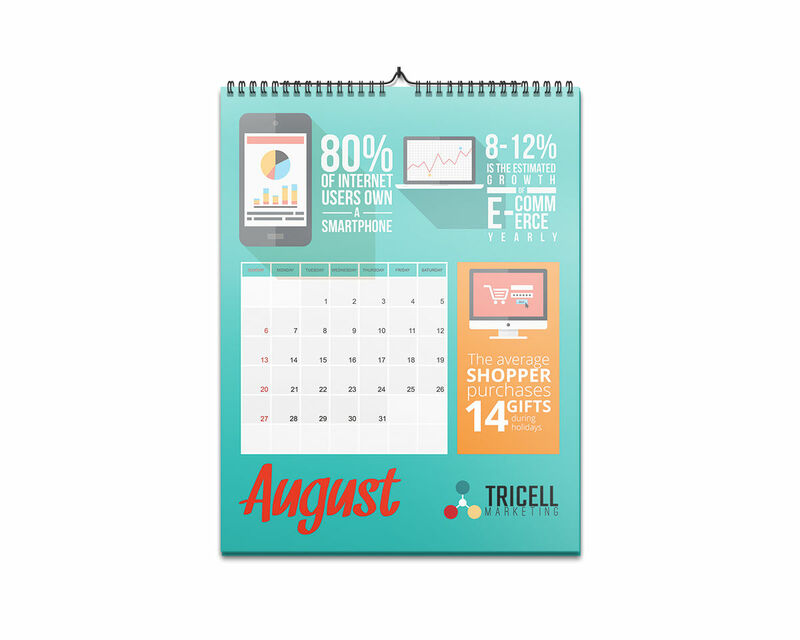 If your business has an interesting history behind it, or if you deal with antiques or vintage items, vintage-style calendars are a good choice. 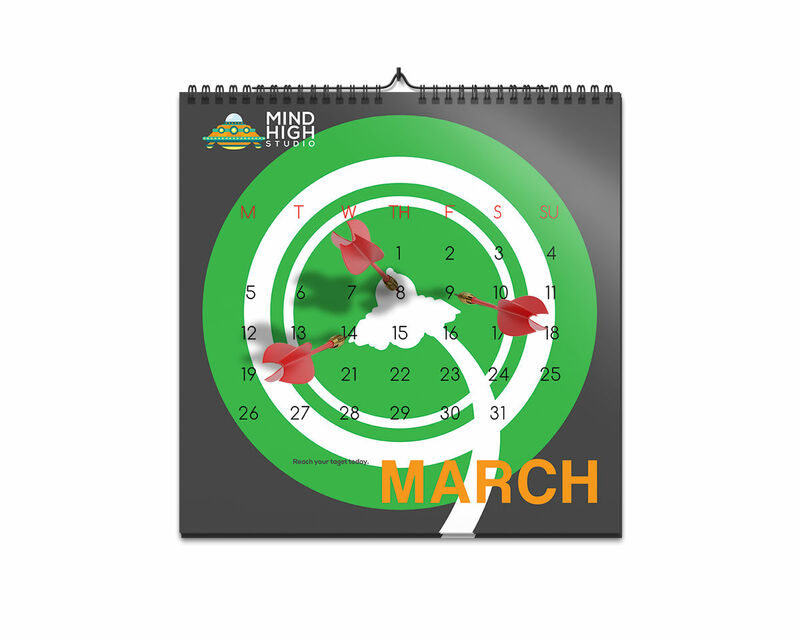 These calendar ideas are great if you want something a bit more interactive or motivational. Any company that helps their clients hit goals or targets would be a great bet for these posters. They’re a natural choice for archery and firing ranges of course, but think of the potential for gyms, personal coaches, and financial advisors. 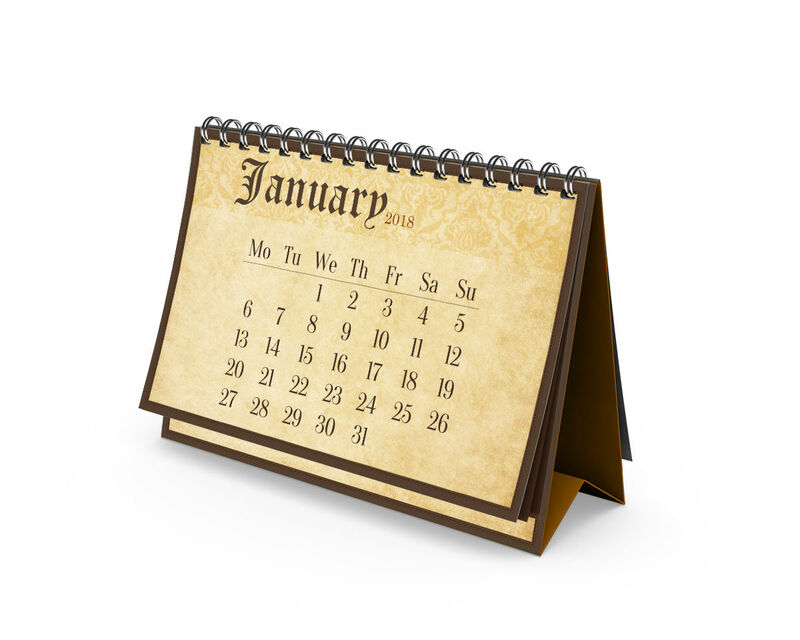 Calendars that play with fonts and typography are a great choice for graphic designers, educational institutions, and translation companies. They can be used to showcase your own fonts, or to highlight a topic related to your business. Other businesses can use this theme too. There’s also different fonts that fit the “feel” of any business, and you might find a typographic calendar fits yours too. Infographics are a good theme for data and research companies. They can really drive home how data is at the heart of your enterprise. Nonprofits can also use this theme to drive home interesting facts about their advocacy. 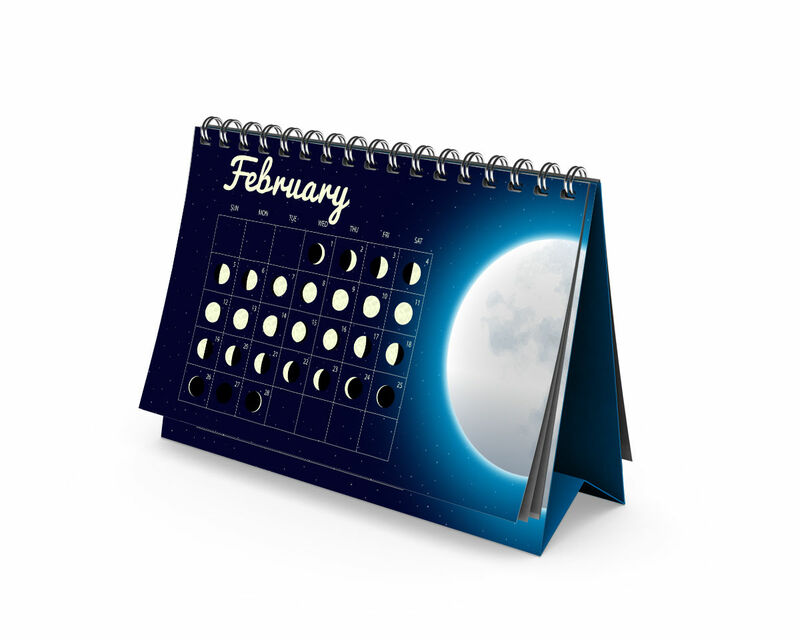 If your audience has an interest in science or the movements of heavenly bodies, calendars with solar and lunar themes are a cool way to share not just the date, but the actual rationale for today’s calendars. They’re also a traditional choice for agriculture and horticulture-related businesses. 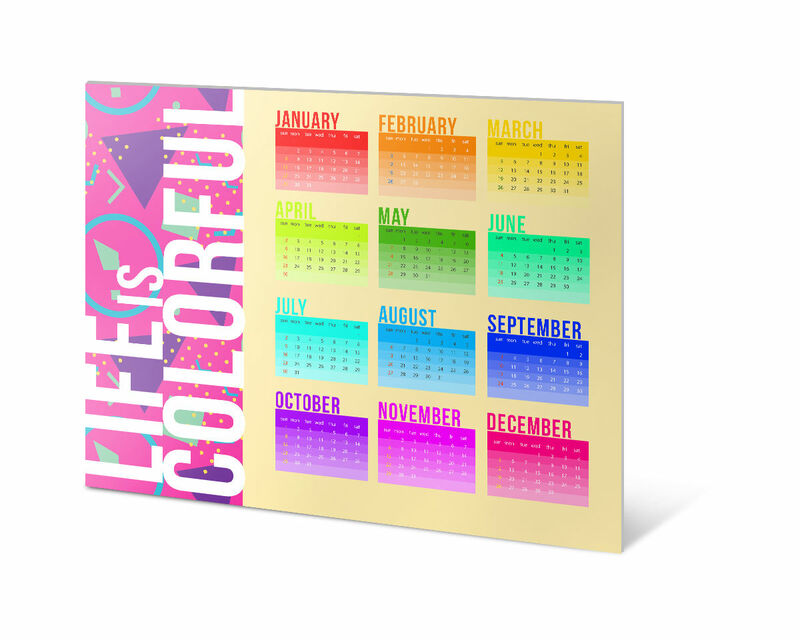 If you use a lot of color in your work, these calendars are a great bet. These are a solid choice for interior decorators, architects, contractors, and fashion designers. These calendars aren’t only interesting, they also serve a practical purpose by allowing customers to compare and contrast specific shades. This way you’re giving them ideas on what color to repaint their houses every single day. These are a natural choice for all visual artists. Art calendars add color and life to any room, and can be used to share the masterpieces of well-known masters or up-and-comers alike. Use them to promote upcoming exhibitions or simply to share your body of work.